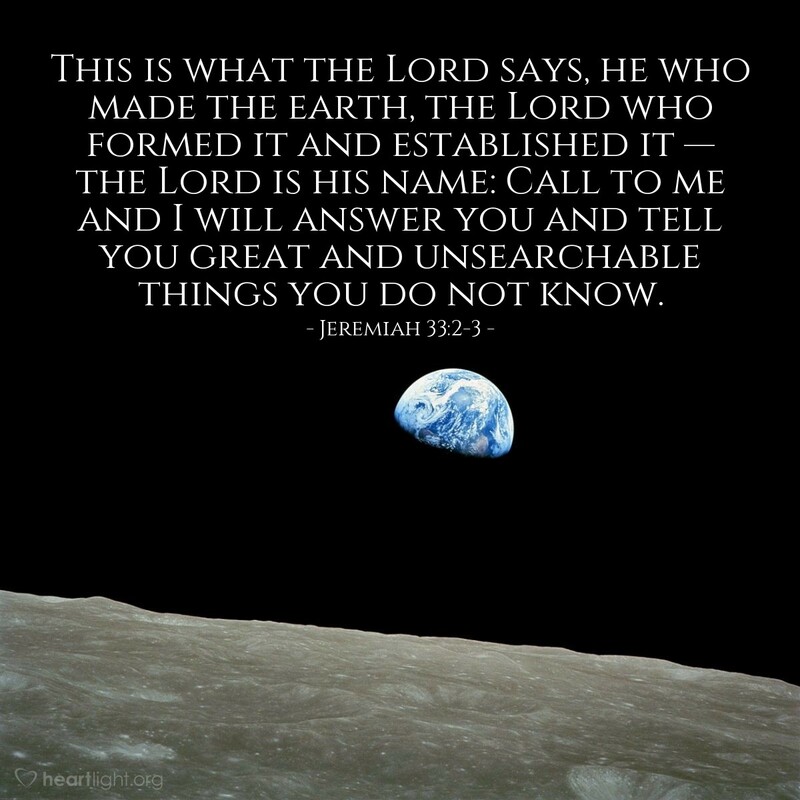 In a universe of billions of stars, think of the power of God who made them and knows each of their names. Think of all he knows that we don’t. Think of all he has seen that is not in our history books. Think of all he has done and can do. Add to this that he invites us to speak to him about the things of our heart and you understand the great expanse of his grace and the very limited knowledge of our minds. Almighty God, there are so many things about which I am grossly ignorant. There are so many things in my world that I can’t keep up. There are so many things about you that I long to know but I can’t begin to comprehend. Please, dear Father, give me more of you: Help me know more about you so that I may personally know you more completely. You are beyond me, so please deal gently with me as you reveal yourself. I look forward with anticipation to knowing you face to face in heaven, the Unsearchable and the Almighty God, my Abba Father. In Jesus’ name. Amen.